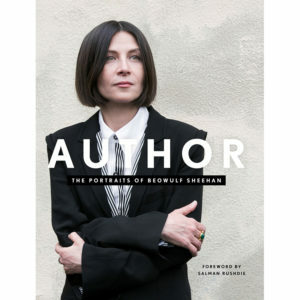 Beowulf Sheehan’s book AUTHOR is a beautiful and moving collection of photographs by today’s foremost literary portrait photographer. AUTHOR captures the essence of 200 writers, historians, journalists, playwrights, and poets from 35 countries; from Roxane Gay to Masha Gessen, Patti Smith to Zadie Smith, Karl Ove Knausgaard to J.K. Rowling, and Jonathan Franzen to Toni Morrison. Following an enlightening foreword by Salman Rushdie, Beowulf Sheehan shares an essay offering insights into the poignant and memorable moments he experienced while making these portraits. Beowulf has served as the Festival’s photographer for nearly a decade and we are excited to celebrate his new book! 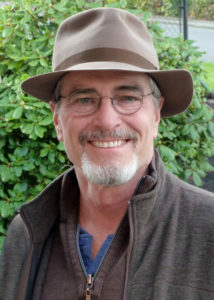 One of the many authors featured in the book may be familiar to many locals—Tom Bodett. Beowulf will show a series of images from the book, speak with Tom, and then finish by reading the excerpt about Tom and showing his photograph. Beowulf Sheehan studied photography at New York University and the International Center of Photography. His childhood love of stories in books and music grew into an adulthood love of storytellers in the arts, entertainment, and humanities. 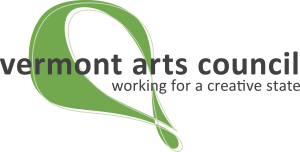 Beowulf makes portraits, communicates ideas, and shares the stories of compelling artists and figures who impact society and culture. his work has been featured at the Dostoevsky Museum, the International Center of Photography, the Museum of the City of New York, and the New York Historical Society, among other venues. His subjects include figures such as Stephen Colbert, St. Vincent, Josh Ritter, John Oliver, Hillary Clinton, Joe Biden and many more. Tom Bodett used to do interesting things — log, fish, build houses. Drink. He left a promising career doing interesting things in Alaska to become a writer and subsequently a commentator on NPR’s All Things Considered and Wait, Wait…Don’t Tell Me. Bodett is the author of seven books, and a boatload of audio programs. His voice has been heard on Saturday Night Live, National Geographic Explorer and Steven Spielberg’s Animaniacs, and can still be heard saying “We’ll leave the light on for you” about a 110 times a day. He lives in Vermont with his wife and sons in the middle of a hay field near a forest. Partial proceeds from AUTHOR will benefit BookUp, a program of the National Book Foundation to inspire reading by students in underserved communities across the country. Reading isn’t just fundamental. It is a vital gateway to a successful life.